The NetArtizens Project began in 2015 as an artist-driven initiative to investigate live broadcasted media as a medium with unexplored potential in the active communities and historical contexts of the networked arts. The project was launched in conjunction with the Art of the Networked Practice | Online Symposium as a platform for global dialogue, reaching over 40 countries around the world, in order to explore, express, and debate the role of the network in our individual and collective practice as artists, scholars, educators, and citizens of the Net. The NetArtizens Project has been conceived as a free and open, broadcasted forum that challenges the limitations and obstacles of cultural differences, social inequalities, political insecurities, and geographical distances, bringing access to voices often excluded from the conversation in the field of the new media arts and beyond. 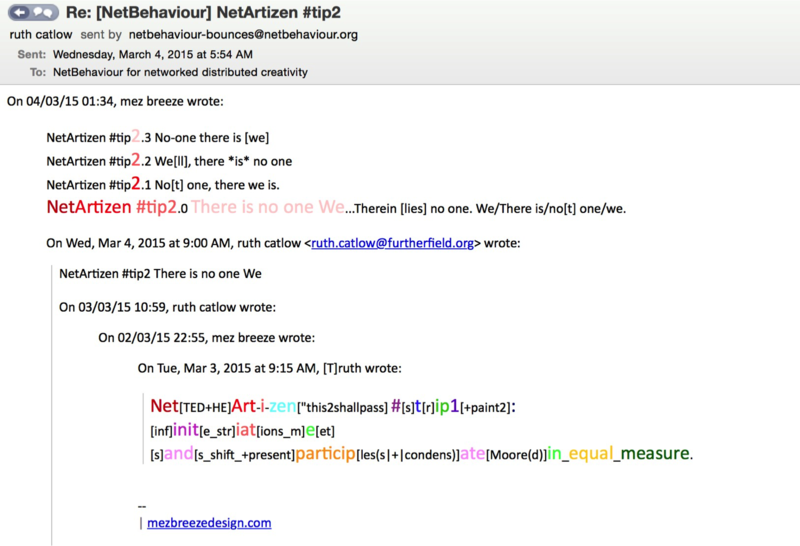 During the month of March 2015, The NetArtizens Project was first conducted as a social experiment in discourse and artistic production across 3 network channels: the NetBehaviours Mailing List, Twitter @NetArtizens, and the 0P3NR3P0.net open database repository for media art. Over 75 artists have contributed so far to the NetArtizens Open Online Exhibition at 0P3NR3P0.net, an evolving showcase of online works submitted between March 2 and April 2, 2015. 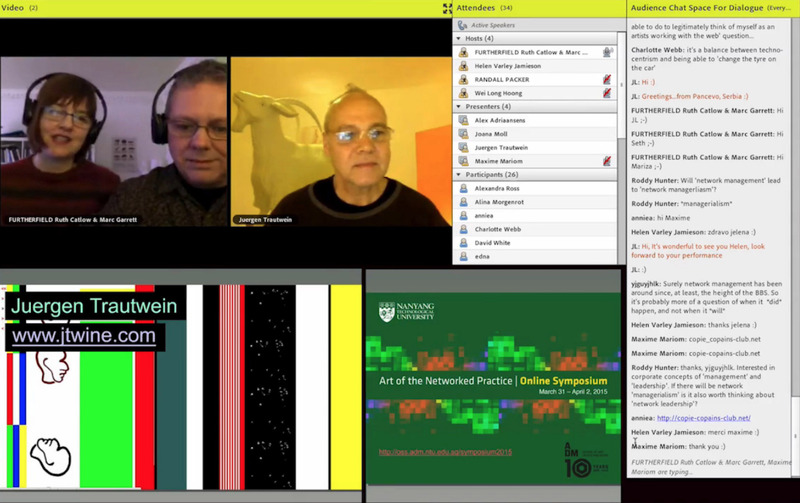 During 2016 The NetArtizens Project will launch NetArtizens.tv, an Internet channel providing global access to live broadcasted art and discourse. NetArtizens.tv is an artist conceived and produced exploration of collective, real-time expression facilitated by the distributed, global networks of the Internet. NetArtizens.tv aims to embed a new form of socially based participatory arts programming into a thriving digital culture that is shifting to Internet media as a replacement for traditional forms of television broadcasting. NetArtizens.tv is conceived as an eclectic mix of broadcast and network media and formats: traditional tv formats such as interviews, panels, and debates will sit alongside net-native artforms that involve machine processes, data manipulations, visualizations, performance and multiple possibilities for live interaction and collective expression. Each contributor to NetArtizens.tv is intended as a “net artist and net citizen” in a real-time, collaborative broadcast community. NetArtizens.tv is thus focused on the organization and delivery of multiple forms of Internet broadcasting and live media programming that bridges physical and remote audiences in a collective social space. The notion of artists producing their own broadcast and public media goes far back historically in such forms as the alternative press, pirate radio, public access television, net art, and now Internet TV. In the late 1960s and early 70s, video pioneer Nam June Paik proclaimed that some day every artist would have their own television channel. Alongside a generation of artists, he explored electronic media, appropriation, and participation with an expanded vision for the transformative power of media art across the globe. These artists included: William Wegman, Peter Campus, Bruce Nauman, John Cage, Yoko Ono, Merce Cunningham, Steina Vasulka, Bill Viola, Joan Jonas and many others who have explored the rich potential of video art in a social context as an alternative to mainstream television. Throughout the 1970s, 1980s, into the early 1990s artists’ TV projects such as Videofreex, Paper Tiger TV and Deep Dish TV in the US and others across Europe, claimed pirate tv and public access cable television as their medium. Coinciding with the availability of affordable video cameras these independent, decentralized public art TV networks mobilized people to make their own media, rather than being passive consumers of centrally constructed broadcast programming. They attempted to democratize the media by facilitating people-to-people communication. Artistic programming turned the themes and aesthetics of commercial TV on its head, activating the production of media around a proliferation of local issues expressed by a range of marginalized communities, including activist projects such as the Gulf Crisis TV Project in the early 1990s. Beginning in the mid 1990s, surging interest in the Web mostly eclipsed the explorations of live, broadcasted artistic forms, in which net art grew primarily as a medium for code-based work and networked installation. However there have been a few remarkable exceptions that have influenced our concept of NetArtizens.tv. Between 2002 and 2004 the Swedish NonTVT Station broadcasted high bandwidth live Internet art, point-to-point between selected international arts venues, at very high-resolution using an experimental multi-cast protocol. They commissioned an ambitious series of always-on, month long, real-time arts projects. Most recently, an interdisciplinary vanguard of artists have continued to explore the potentialities of live, broadcasted media via the Internet such as Lynn Hershman, Entropy8Super, Annie Abrahams, Helen Varley Jamieson, Franco and Eva Mattes, and Jon Cates. 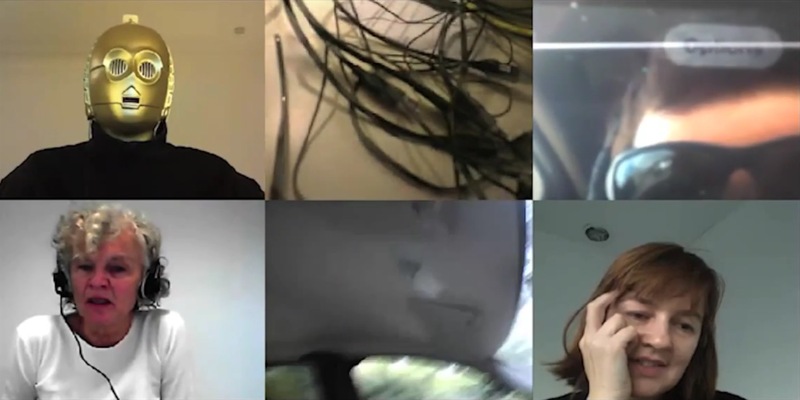 These artists all made use of broadcasting via Webcams, multi-user environments, artist-crafted server and browser softwares – hybrid media that facilitate an artistic remediation of the boundary between life and art: all of which underlies our vision for NetArtizens.tv. With today’s global broadband Internet connections, mobile video devices, YouTube, UStream, Livestream, etc., the technological possibilities for live media have advanced considerably. Yet live broadcasting as an artistic form exists primarily at the fringes of the art world. NetArtizens.tv is intended to bring “live-specific” forms of broadcasted art to the forefront of the media arts. We will commission work that is made for real-time streaming, art that engages audiences in the simultaneity of peer-to-peer forms of interaction, art that creatively joins virtual and physical spaces with technical imagination, conceptual thinking, social sensibilities, activist voices, and aesthetic choices: live media art made by “artist-broadcasters” exploring a collective approach to net-casted television. The fusion of geographically dispersed artists and audiences is realized through broadcasted projects that join local viewers and online audiences in what we refer to as a shared, electronic “third space.” In the age of the Internet, television has increasingly become a participatory, many-to-many medium, replacing the traditional one-to-many paradigm of traditional broadcast media. With broadcast techniques that allow multiple participants (such as Web-conferencing), combined with forms of social media that facilitate real-time conversation, television can be re-imagined for our hyper-interactive 21st century global culture. We strongly feel that the media arts have not fully embraced this potentiality, despite the progressive nature of the field. Aside from the proliferation of broadcast and technology hobbyists, entertainers, and viral net-celebrities who create their own online programs to inhabit the social media spaces, NetArtizens.tv is a new attempt to expose a broader public to a new and emerging networked art form, as well as topical issues and concerns in the media arts that can be newly expressed via broadcast media. With Netartizens.tv, we intend to engage a full social and artistic agenda that stretches across disciplinary, geographical, and cultural boundaries, exploring real-time interaction and dialogue between artists, performers, viewers and audience-participants. We will seek from our commissioned artists and audiences alike a commitment to the spirit of “breaking the format” of traditional broadcasting via the re-invention of Internet television as a new form of social media – to discover the kinds of experiences, explorations, and human interactions that can only be derived from live networked media and its discourse.